LCG Pence’s competitive edge in today’s ever-changing market is achieved by mixing the right recruitment, compensation, training and career development opportunities. We promoting the positive while giving constructive feedback of individual performance so that everyone feels empowered, recognized, and rewarded. We work to create a culture and environment where everyone shares the same vision to provide peace of mind. 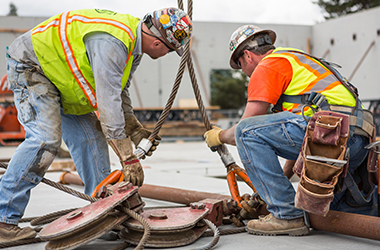 LCG Pence Construction is always seeking outstanding people to join our Engineer team. Join the LCG Pence Construction Talent Network today to stay up-to-date on our current openings for Engineer jobs as they become available!